The Director General of Nigerian Maritime Administration and Safety Agency (NIMASA), Mr. Patrick Akpobolokemi, has dismissed reports that former Niger Delta militant Chief Government Ekpemupolo, a.k.a Tompolo acquired five war ships, saying they were meant for the agency. Speaking in Lagos, yesterday, Akpobolokemi told newsmen that the ships acquired by Tompolo’s company, Global West Vessel Specialist Ltd, were for the use of the Nigerian Navy and other relevant government agencies in the fight against piracy and other related crimes on the nation’s waterways. 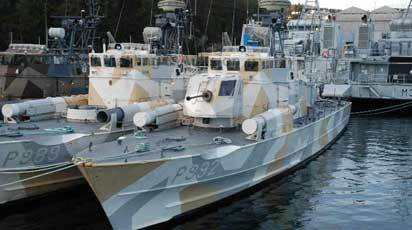 “It is the Navy that has fitted their guns on the vessels to aid their policing of the maritime domain. The Agency is made up of civilians who are professionals in various fields and who have no political affiliations or interests at all. “As an arm of the government responsible for maritime safety, security and regulations among others, we work in conjunction with the Nigerian Navy and other relevant security agencies to use their men and arms to patrol and provide safety of the country’s water ways,” Akpobolokemi.